WHAT IS YOUR YEAR NUMBER FOR 2019? 2019 is a 3 Year in the world, (2+0+1+9=1+2=3). To calculate your number for 2019, simply add 3 to your month and day of birth. (Do NOT include your year of birth in this calculation). 9+7+3 = 19, and 1+9=10, and 1+0=1 (keep adding until you reach a single digit). So, in this example, the Year Number is 1. Throughout 2019, use your Year Number to read your Weekly and Monthly Forecast. This represents a large part of the collective numeric energy at our disposal this month. Light-hearted, creative, and ever-hopeful 3 gives us insight and ideas and broadens the field of possibilities. Practical, determined, and hard-working 4 pushes us (sometimes roughly) toward the means of bringing those ideas and possibilities to life! No frills here. Just the facts. Intellectual and intuitive 7 helps us to study and analyze the details, connect the dots, and devise a solid plan of action. 3 opens the imagination and often takes ‘creative license’. Both 4 and 7 seek accuracy and have little tolerance for what they see as 3’s frivolous approach. 7 is the number of MYSTERY, but uncertainty produces waves of fear (sometimes outright paranoia). However, 3’s optimism enables us to hold on as we wait for conditions to improve. 4’s seriousness and determination sets the overall tone. The 3 4 7 sequence reveals realities that our old programming keeps hidden – and can lead to tangible RESULTS in the 3 5 8 energy of May. Therefore, April is a time of LEARNING, PLANNING, and PREPARATION – based on the principle of ‘necessity is the mother of invention’. 3 4 7 produces the karmic number 14/5. (3+4+7=14=5). This adds another dimension to this month’s potential, for better or worse, depending on how we react to the sudden and unexpected. This includes understanding how such circumstances arose in the first place and not repeating mistakes. Learning from an experience is how we turn mistakes INTO experience. This is particularly important in Calendar Week 14 which runs from Tuesday, April 2 to Monday, April 8. 7 is the learning number, and 14 is 7 doubled. Your thoughts are your potential creations. But what is the process that turns ideas into physical reality? What is that extra energy that brings our creativity to the surface and helps us find ways to turn that proverbial lead into gold. Feelings! That’s what drives us. But, for as long as we are unable to express outwardly what we feel inside without hurting ourselves or each other, hate and cruelty will continue to produce the very situations that FORCE us to express what we’re holding inside. This Monthly Forecast describes how your 1 Year interacts with the 4th calendar month of APRIL (1+4=5). This is a time of change and transformation in your life. The best way to get through it is to accept – be satisfied with – where you currently are, and realize that you have SO much more to experience and learn. You are involved in an immense outward PUSH but are afraid of what might emerge from it. It’s not a comfortable feeling, but the desire for change outweighs it. If you feel exhausted it is because the evolving part of you does not want to take one more step in that old direction. You are in the process of taking yourself to a new level. Meaningful change always starts within – hence your very strong feelings this month. It’s as if you are being stretched between two dimensions – the past and the present, and this can sometimes feel as if you are in free-fall. Unexpected development is the nature of this cycle. Consequently, what at first seems like an upheaval or a continuation of the usual restrictions may turn out to be a catalyst for positive forward movement. You may also experience a significant change of heart as you find a new angle from which to look at your situation. This is a good thing because a complete change of attitude is called for if you are to flow more easily with life’s ebbs and tides, and take advantage of new opportunities as they arise. Besides, by now you must be very tired of struggling to maintain an unsatisfactory status quo. No matter how it seems, you have a lot of freedom this month. Just be sure you don’t mistake this for the frustration of not knowing what your next step should be. Are you basing your decisions on old information or outdated methods and habits? Has an unexpected situation thrown you off course? Are you afraid that all this change will lessen other people’s regard for you? Remember that love without freedom is a contradiction in terms. Freedom provides the space we need in which to experience love – unconditionally. The events of this month are actually setting you free to begin the process of creating happier conditions. Remember that this year marks a brand-new era of your life. Your current problems are temporary. They are reminders of what you need to change. You are meant to be where you are. You are meant to be having the experience you’re having because, in April in the 1 Year, there is always an opportunity to prosper if you can just accept the opportunity for what it is. If you don’t know what you are feeling, you cannot know what to expect. If you cannot differentiate between a thought and a feeling, your outer reality will produce the same confusion. If you do not expect positive change, then a lack of positive change is what you’ll get. However, notice how mere “positive thinking” is often a form of self-deception. What are you feeling? Be honest with yourself. Remember that change means CHANGE – a complete and drastic alteration in the way you observe, comprehend, relate to, approach, deal with, resist, or compound your situation. April in the 1 Year emphasizes the physical, instinctive and sensual side of life and urges you to be more aware of your body and physical presence. Do not take chances that could harm you or others. Stay alert on this unfamiliar and shifting ground. Most importantly, recognize a mistake and stop repeating it. April in the 1 Year encourages independence. You already know just how dependent you have been on certain people and things. Now, you must start to take full responsibility for yourself and act in your best interests. In at least one case, there may be a parting of the ways. You are learning how to create what you want, but you must be honest with yourself about your present position. Even if you have a passionate goal, if you don’t know where you stand, you will be unable to sense the direction in which to take it. Accepting where you stand is not defeat. It is the courageous and evolutionary act of facing reality. If you cannot accept your own reality, your life will forever be a dissatisfying illusion which you yourself continue to paint. Stop pushing your past away from you as if you are afraid that it will catch up with you. It’s meant to! Let it! The past is filled with knowledge and experience, and what it has to teach you needs to be accepted into the present. Only by learning from the past will you be able to feel, sense, and create what you want for the future. This Monthly Forecast describes how your 2 Year interacts with the 4th calendar month of APRIL (2+4=6). Make a genuine commitment to patience and compassion because you cannot ignore your current situation. Insensitivity or selfishness will work against you, and can only cause resentment from those whose wellbeing is connected to your own. This cycle of love, healing, and balance emphasizes duty towards home, family, relatives, spouse, lover, parent, child, pet, neighbor, or friend. The question of duty and loyalty may arise. Domestic and/or work-related responsibilities may also be involved. April is rich in lessons about freedom – and not just your own. Keep your goals firmly in mind as you adapt to new circumstances in which you are not meant to be the star of the show, but the one who must act in the best interests of all concerned. Or perhaps you must be the mediator and peacemaker who brings fairness or practicality into the situation. Perhaps it is your role this month to connect certain people together. Perhaps it is time to take a greater responsibility to fulfill your part in a joint effort. Or perhaps you will be engaged in a combination of all of these things. Whatever the case, until you fully accept what is happening in your life, the stress of fighting your own reality may seem overwhelming. What you are really fighting with here is the fear of being humbled. ACCEPT that a certain phase is over and a new one is trying to begin, and you will also realize that humility and acceptance are your only means, at the present time, of steering your life into a more acceptable direction. Continue to believe in yourself. You do not have to be at center stage right now. Stop struggling. Try to be calm and flexible. You may receive some kind of praise for your efforts which will boost your confidence – or you could be made to feel responsible for a certain matter that you would probably prefer to keep hidden or private. Try to make the environment friendlier and brighter, regardless of how many details you are dealing with. Don’t try to control everything. Your intentions may be good, but you may be too concerned, or even paranoid, about the way others are conducting their lives or affecting yours. Tolerance and a desire to accept differences can prevent ugly situations. You cannot solve other people’s problems for them. Team up with them instead for the benefit of all. Their idea of life is unique to them, just as yours is to you. Your priorities may differ. You are now learning how to exercise fairness and compassion without losing yourself or your freedom in other peoples’ energies and realities. Slow down, relax, and learn. Make kindness your key word, and start by being kind and gentle with yourself. The harder you push against reality, the more likely you are to hurt yourself or someone else in some way. Try to understand that much of the pressure is coming from your growing ability to TOLERATE. This month is all about family. But just who are your family? They are the people to whom you are connected – through biology or circumstance – people who are a part of your life, whether you like them or not. They are those with whom you are familiar – and of course familiarity can breed contempt without ongoing fairness and respect. Just as others affect you by their actions and attitudes, your existence deeply affects them. You cannot change them, but you can change your reaction to them and let them be who they are. In the process, you will learn to be who you are too. Let it be known that you want peace. Aggression will throw you off course. You are simply experiencing the discomfort of finally accepting your own reality. Find a way to release your emotions privately – behind the scenes – and you will emerge lighter, freer, happier and more knowledgeable. This healing process will enable you to make a startling connection between your past, your present circumstances, and your future – and it will bring you back to LOVE. This Monthly Forecast describes how your 3 Year interacts with the 4th calendar month of APRIL (3+4=7). You are in the midst of a strange looking fog which leaves no room for hasty decisions or unplanned moves. Feeling unsure of yourself may not be such a bad thing because your sense of direction really does need some adjustment at this stage. The potential for beneficial change is enormous if you will just give yourself the time and space you need in which to figure things out. Certain duties and obligations must be attended to, but it is important to take everything in your stride. Do one thing at a time, and don’t worry about how you are being perceived by others. Accept the fact that you don’t know where you are right now. Doubts and unexpected circumstances seem to be getting in the way, and yet you are also starting to sense potential avenues of success. Your challenge is to find a new direction that you can feel passionate about, and the chances are that it’s right in front of you – obscured by the shadow of your own anxiety. Your emotions have led you most of the way this year, and there is likely to be another emotional situation to deal with this month. Whenever you can, retreat into a quiet environment where there are no distractions. You need to feel your own feelings and think your own thoughts. You need to be able to see your current position in the big picture. And you need to remember where you came from, because many of your current problems stem from ingrained childhood influences which you are now in the process of outgrowing. As you continue to mature and evolve, let your thoughts take you back over your life’s journey. Visualize how one step always led to another; how everything you ever did, and everything that ever happened to you connected you to the next phase of the journey, and how each step has brought you to this place called NOW. Only when the past is fully accepted into the present can you create, or even imagine, the future you want. How long are you going to hold on to all that grief and pain? Let yourself feel it, let it go, and dream new dreams. In May, you will be on your way again – full steam ahead, but April is a time to think, feel, visualize, analyze, and plan. As you focus on what you want your next ‘now’ to be, and realistically plan your method of achieving it, your feelings will naturally fluctuate between optimism and pessimism, courage and fear, anger and forgiveness. This emotional push-and-pull is all part of a creative process which can place you on much firmer ground. You need the support of certain people if your plans are to materialize, so don’t alienate yourself from others just because you are feeling fragile. Don’t take it all so personally. And be careful of the words you say as you do seem to be critical of everything and everyone right now. Make clearly defined plans to move forward, but do not make any major moves or decisions just yet. To enter next month’s dynamic waves without a specific plan of action suggests that you are still not serious about what you want. Consider your plans carefully. Analyze them. Find their flaws and revise them. Have faith in yourself. Stay flexible. Allow for the unexpected. Not knowing how to do something you want to do is no excuse for not doing it. Learn how. You may certainly experience other people’s negativity this month, but you cannot allow it to bring you down. See it for what it is – other people’s negativity. Now, what is your plan for the rest of the year? This Monthly Forecast describes how your 4 Year interacts with the 4th calendar month of APRIL (4+4=8). It’s time to face reality and get down to business. Focus on material, financial, and work-related matters. Effort, confidence, and determination will help you make the best of current circumstances. Consideration for others will not only improve your position and the health of your relationships, but a softening of your heart can also improve the health of your own physical body by reducing the pressure under which it is being forced to exist. A once familiar situation may fall apart now, but without this upheaval, you will not see the new potential offered by this cycle of personal power and efficient problem-solving. Although you have been down this road before, this time, if you really do accept reality rather than fight it, you will notice something you could not previously see, which will help you to move into friendlier territory. This cycle attracts back to you whatever you have put out into the world, and prevents you from stagnating in a situation from which you once believed there was no relief. Continue to believe in yourself no matter what transpires. This is an opportunity to move away from something that no longer serves your best interests, and towards something more natural for you. If you expand your abilities and build on your talents, you will be able to take a positive new step. However, you may find yourself working harder than ever. You may even start to doubt your ability to persevere. If so, just keep taking one step at a time, and be sure to rest when you feel like resting. Business and material interests can be advanced through efficiency and organization. Attention to detail is still important, but so too is the big picture. Be sure to simplify rather than complicate. This is a chance to develop a more realistic sense of your power to achieve. Visualize the result you desire, and as your horizons broaden, take a step that will bring you closer to it. You must now rediscover your confidence, dignity, and passion – and get things done. Be tactful, and stay aware of this year’s practical theme. Be cautious of “quick fixes” or manipulating others, no matter how subtly you are able to do so. Remember that prosperity is not for the few. It belongs to everyone on Earth – if only everyone knew that prosperity must first be felt on the inside. You can be without funds and not feel poor. When you feel poor, it is because you have underestimated your ability to change things. When you feel the richness of your own potential, you cannot feel poor because your potential – your capability – is your principle resource. Others are not causing your problems. It is you yourself who must stand up, be counted, and claim equality in a world in which we all contribute to reality. It is time to fight for what you want, not through aggression, but by taking full advantage of available resources. Appreciate what you already have and use it to get what you want. What you already have includes your creativity, knowledge, belief in yourself, and other non-material attributes. April offers a feeling that outweighs any kind of material reward – the feeling of accomplishment. It is only from the appreciation – the love – of this feeling, that greater accomplishments will follow. By the end of April, you could achieve an important breakthrough in which an existing aspect of your life evolves to a new and more comfortable level. This Monthly Forecast describes how your 5 Year interacts with the 4th calendar month of APRIL (5+4=9). You have arrived at the point in the 5 journey where you must say farewell to a limiting aspect of your life. Everything is related to endings and completions this month, so don’t expect anything new to happen until these conclusions have occurred. A sense of finality (acceptance) must be experienced, or you could be weighed down by denied emotions and unwanted circumstances for the rest of the year. Accept that a phase of your life is ending. The first 4 months of the year represent your journey out of the past. April signifies the end of that particular road, and the end of old tensions, resentments, and fears. Of course, endings don’t always have to be painful. They can also feel like the weight of the world being lifted from your shoulders, signifying that the pain is over and a new, more comfortable reality is forming. Feel the anxiety and pain of the past, and let it go. Feel it. Accept it. Express it. Release it. Parting with old emotion is always followed by an infusion of optimism and self acceptance. However, when so much emotion is involved, it can be difficult to find the positive aspects in a situation. And, the reason so much emotion is involved is because you are finally being honest with yourself about what you do and don’t want in your life. Give yourself time to adjust to a change for which you were not prepared. It can be difficult to express feelings of loss or longing when that loss or longing is also triggering feelings of relief and optimism. But do not allow guilt to convince you that this is wrong. All your feelings, including the fear of taking full responsibility for your future, are part of what you must experience in order to move a little closer to freedom. You will soon realize that many of your fears are unfounded and that you really can do what you once thought was beyond your ability! Anger toward others may be disguising anger at yourself for being afraid. You now stand on the dividing line between old unsatisfactory conditions, and a new, freer way of life. This is a time of adventure, courage, understanding, and tolerance. Renew the love within your relationships by ending your need to control them, or allowing them to control you. Control is not love. Love is not ownership. This is an opportunity for personal and professional expansion. You have had many different experiences in your life, and now is the time to benefit from them by making decisions that are based on what the past has taught you. April in the 5 Year is a time to forgive, especially yourself. You may still be subconsciously beating yourself up for things that simply don’t matter any more, or things that were never your fault. The past has gone. You are free now. You may not yet be free of the consequences of a mistake, but you are free of the mistake itself. From this understanding, the rest of your life cannot help but seem brighter. Remember that a consequence is the relation between a result and its CAUSE, and allow yourself to gain the experience that comes from learning from a mistake. This is a time to give – simply because you want to, and not because guilt or fear has told you to. Giving may include giving in or giving way. It may even mean giving up. There are many ways to give. To give is to let go of something. GIVE – and a new door will open up for you. This is a time of surrender – not surrendering your Will to someone else, but surrendering TO your Will and, therefore, freeing yourself. And, if you think that God is who you are supposed to surrender your Will to, you may want to consider that God would not have given us Free Will, just to take it back. We have Free Will because life itself flows more smoothly when it flows freely. This Monthly Forecast describes how your 6 Year interacts with the 4th calendar month of APRIL (6+4=1+0=1). April offers enormous potential for greater independence and self-satisfaction, even though someone else’s reality is affecting you deeply. If you feel “alone”, remember that no matter how many people surround you, you are an individual with a power all your own. The more you try to control others, the more resistance they will put up. In April’s powerful 6 4 10 1 vibrations, the more understanding you give, the more you will be understood. April is filled with important lessons about individuality. See others as they are now rather than how they used to be, or how you would prefer them to be. Put yourself in their shoes. Imagine what life feels like from their perspective. Avoid the urge to criticize or set rules. Establish a realistic strategy which respects the unique circumstances of all concerned. If you feel unable to fulfill a responsibility, perhaps someone else is waiting to step in and take it off your hands. Or perhaps you simply need to lighten the load by sharing a certain obligation with someone else. This month of fresh ideas and new beginnings is designed to improve the balance between your private needs and your outside obligations. Whatever steps you have been contemplating, especially if related to your own future and security, now is the time to take them. Consider the truth – the reality – of the situation and go with your feelings. Take a chance. You are ready for a greater level of responsibility in a new and more fulfilling direction. One change can trigger a sequence of changes. Stay alert and look for the advantages involved. Initiate a constructive change of your own or, at least, move closer toward making such a change. Where conditions are making you unhappy, this is a chance to change them. April provides an element of good luck to new experiences – anything that is started or is in the beginning phase. Use your unique skills and resources. Be creative. Be original. Be who you really are. You now have the power to create something, possibly out of nothing, and are likely to feel energetic and eager to proceed. Retain your enthusiasm despite the attempts of guilt to distract you. Listen to your doubts and fears as they may have something important to tell you. Include others in your activities, especially if you are in a long-term relationship, have children or pets, etc. Make time for all that are family; those with whom you are familiar; and those with whom you share your life on a day-to-day basis. Bring LOVE and CARING into the space in which you live. A fresh start in a relationship stands a good chance of success when a new understanding has been reached. Someone close may be experiencing a new beginning of their own, requiring the whole family or group to adopt a new agenda or attitude. Encourage, don’t criticize. You may discover a valuable new talent, idea, or gift, which is not necessarily your own. Until you try new things, ideas, or directions, you may never know what opportunities are out there for you. This Monthly Forecast describes how your 7 Year interacts with the 4th calendar month of APRIL (7+4=11/2). (1) Accept your present reality just as it is. This is a time to assess your general development. Think about how the year started off for you – and where you are now. Patiently observe everything going on around you: personally, locally, nationally, and globally. Take new developments into consideration and rethink your long-term goals. Use your intuition – feelings – senses – instincts – to direct you to the next level of understanding. April will present you with a series of distractions which can make it difficult to notice how everything and everyone in life is connected, and that there is a reason – or cause – for everything. This is a test of your patience, courage and tenacity, and offers you the opportunity to release yourself from a painful part of your past. Make a commitment to peace, diplomacy, and cooperation. By relating someone else’s circumstances to your own and finding the connection, you may also find a vital missing link that you have been seeking. Stay in the background as someone else takes center-stage. Interact with others deeply and genuinely. From your backseat position, be involved. Don’t be afraid of what you might hear or learn. This year, you will encounter many things with which you may not feel comfortable, but they must be faced if you are to benefit from the knowledge they contain. In April in the 7 Year, your intuition works overtime. This a month of strong emotions and heightened intellect. Listen. Observe. Feel. Relate. You will not be able to progress unless you are patient; unless you wait for developments to happen in their own manner and time, and unless you relax your tensions and long-term concerns. The present is your only exit from the past and your only gateway to the future. The present – this moment – here and now – is the only reality – and it contains the energies of both the past and the future. If you do not allow yourself to feel whatever feelings present-time triggers, including fear, then you cannot be fully present in present time. It is essential that you feel and sense your way through all situations, instead of forcing your way through, becoming frozen in fear, or running away. Your own needs are being helped along by this process of delay and interruption. If you do succumb to frustration and force your way forward, you may find yourself in the wrong place at the wrong time. Partnership, teamwork, or some kind of group situation is highlighted in April. Relate to everyone with understanding and tact. Be aware of how you have helped others in the past. These favors will be returned to you this month, but not necessarily by the same people. However, if someone takes credit for your efforts or steals the limelight, let it be. As you face reality this month, listen to the questions you ask yourself, and the judgments with which you reply. Ask yourself, “What is really going on here?” Then listen, very carefully, again. This Monthly Forecast describes how your 8 Year interacts with the 4th calendar month of APRIL (8+4=1+2=3). As you phase out last month’s backstage activities, you may realize that you have made a powerful connection indeed… perhaps a person; perhaps an idea. Whatever the case, friendliness is needed. Although you can take nothing for granted, this creative cycle should certainly revive your enthusiasm. The ideas of the past three months can now be implemented. At the very least, you will know they are achievable. It is time to create the right environment from which to transform an idea into reality. April provides an opportunity to test the waters and see how well you perform to an audience without actually striving to gain their acceptance. It is your own approval that others are noticing now. April also emphasizes happiness, communication, friends, appearances, and the lighter side of life. The only thing that can stop you from getting your plans underway is a lack of love for what you are doing. So, be sure that what you say you want is also what you feel you want. This is a time of creative freedom, so don’t be afraid to make changes. You are in the process of healing the fear of not having what it takes to succeed. It is now becoming obvious that you do indeed have what it takes! Friends, relatives, or associates may affect your life significantly now. Keep your goals firmly in mind. Allow your feelings to guide you through all situations. Focus on what matters. Renew your commitment to a goal. Know that this is the year to make it happen. Take the time to enjoy some light social activities. Display some friendliness, warmth, humor, and satisfaction. Appreciate just how good it feels to be alive. People who do not respect your ideas may actually have something important to point out, or they may not be friends at all. Friendship can only flourish if there is first friendship with yourself. Effective communication is vital. The spoken or written word, and the use of images, play specific roles this month. Notice how a pleasant disposition rubs off on others, even on those who were previously indifferent, creating a warmer environment in which to live or work. Notice how different you are starting to feel as you become more accustomed to the material plane of 8. April may bring a material object, or a service of some kind, into your life which can become a tool for developing your ideas and plans. Extending friendship, even to a stranger, can result in a boost to your plans and goals, or a positive change in the way you see yourself. This month offers opportunity through social and professional networking. Certain people are in your life right now to help you change some of your outdated beliefs, ideas, and rules. And some are here to confirm those aspects of your life that are already well-centered. It is much easier to believe in yourself in an atmosphere of realism. You are realizing, more concretely than ever before, that you really are a very creative person who is able to take your ideas beyond the mere “ideas” stage. Imagine how creative you could be if you were not so concerned with how others see you. This Monthly Forecast describes how your 9 Year interacts with the 4th calendar month of APRIL (9+4=1+3=4). This cycle brings you to your limits so that you can know what your current limits actually are. Accept that these boundaries exist, and instead of trying to crash through them or allowing them to push you down under their weight, use the power of your strong intent and determination to push them up and out and away from you. Use the power of your WILL to create more time and space for yourself, physically, mentally, and emotionally, regardless of who or what pushed you to your limits in the first place. Your belief in yourself can steer you away from an undesirable path and help you create the breakthrough you are craving. Use common sense, efficiency, and effort. Organize yourself. Keep to a sensible routine and a workable agenda. Create a balance between whatever you are focusing too heavily on and other aspects of your life. If you are stuck in a rut, or if a habit is getting the better of you, stop this needless repetition and start to live more spontaneously and naturally. The purpose of this cycle is to make life easier for you, not harder or more complicated, and to revive your energies, not drain them. And yet, the need for you to give of yourself in some way has never been greater. Your conscious mind is expanding. Great fulfillment can be experienced by dispensing with petty issues and analyzing what you are left with. You are also expanding your emotional limits by feeling the pressure of your feelings and being aware of how free you will be once they are released from your body. This means letting your feelings out! If you continue to hold them in, you are likely to feel depressed, overworked, boxed-in, and unable to move in any direction. Let it all out and experience the relief that comes from acceptance of reality. In many cases, there is no such thing as “closure”. There are some things in life that we can never “get over”. We simply learn to live with what happens to us and our loved ones. We learn to accept reality. If feelings of heartlessness arise, know that until you acknowledge these bitter feelings and allow them to leave your body, you will be deprived of the enormous power they are burying – the power of your own LOVE. April’s emphasis on work and love can help expand the limits of what you think is your identity. Restriction is caused by measuring your worth by the work you do, instead of the satisfaction derived from all that you do in life. If what you “do” is just part of the cold reality of having to make a living, then making a living will become a difficult or unpleasant process in itself. Much of this month, (and year), emphasizes what you want to do. Humanity is evolving to a point where Free Will is our only alternative to self-destruction. It is time to go back and rescue an activity or idea that once made you feel passionate, but was abandoned because circumstances changed, or because you could not make a “living” from it. Life has changed since then. April is a time to discover your true identity and expand your natural qualities or skills to a level where you can not only make a living – but also live the life you want to live. 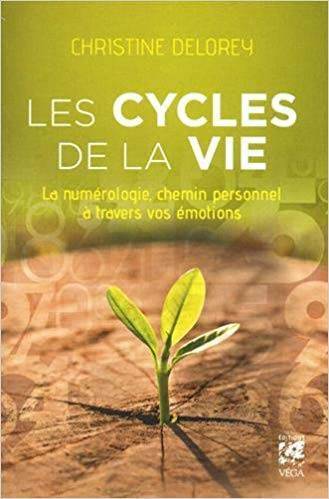 This entry was posted in Monthly Forecast and tagged feelings, Free Will, healing, karma, monthly numerology, motivation, numerology on March 29, 2019 by Christine Delorey. Throughout 2019, use your Year Number to read your Monthly and Weekly Forecasts. Here is your Monthly Forecast for MARCH IN THE 1 YEAR. This forecast describes the combination of your 1 Year and the 3rd Calendar Month (1+3=4). You know you cannot continue in the same old way. You can sense that an old reality is ending and a new one is beginning. In order to ease the uncertainty (fear) that threatens to keep you at a standstill, look more closely and honestly at the circumstances that are tying you to the past. The closer you get to your limits, the more you will feel boxed-in and compressed, but this is no time to give up. The 1 Year is a time of great change, and it is worth remembering that change seldom occurs as comfortably as we would prefer. The restrictive elements of March provide an opportunity to experience the positive power of your own Will which is now trying to reduce the pressure by pushing those limits away from you. Commit yourself to hard work and be determined to exert as much effort as the situation requires. Concentrate. And listen to your body when it tells you that it’s time to rest. This month, mistakes can occur through inexperience – mixed with a lack of focus. So, stay alert and aware, and also understand that a mistake is not a mistake if you learn something from it. Form a practical plan of action to protect your overall goals, while honestly assessing whether your current course is any different from the one you have been traveling for the past nine years or more. Be aware of how easily we deceive ourselves into thinking we are doing things differently, when in fact we have simply found a different way to do the same old thing! See yourself in a more positive light. Simplify – and you will become more able to take care of your responsibilities. Observe the small details, and where they fit into the larger picture. Clear your life of the material and emotional clutter you have amassed over a long period of time, and which is now preventing you from seeing beyond what you think are your limits. Your mind is buzzing and churning with diverse and conflicting thoughts. Actually listen to the chaos in your mind – all the different opinions and judgments that are battling for your attention. Then, give your mind a rest – by accepting your present situation exactly as it is. Only then will you be able to get your priorities in the right order. This month, your mind needs periods of complete relaxation, as much as your body does. Face the facts. Be practical. Put everything in its place. Organize. Clear the decks. Sort it all out, detail by detail. Then observe the walls of what were your limits move away from you. Let your expanded belief in yourself push these boundaries to a place where they can no longer pressure you. Having cleared the strongest barriers of all – your own denials – you will know that if you judge something before you experience it, you have no way of knowing what the experience actually is, or what it has to offer. You are on unfamiliar ground, but you must take the lead and initiate things you thought could only be done by others. Knock on new doors. Look for ways to break free from your various dependencies. You do not need other peoples approval. Let your feelings tell you what you really want and how to get it. Stop dithering and step forward. See where those first few steps lead. Then, by the end of March, your new understandings will help you to construct a strong foundation on which to build a new reality that reflects who you are now. Here is your Monthly Forecast for March IN THE 2 YEAR. This forecast describes the combination of your 2 Year and the 3rd calendar month (2+3=5). I am life that wills to live in the midst of life that wills to live. Compromise and acceptance are needed in this month of change, freedom, and unexpected developments. Try to understand someone else’s side of the story. A relationship can now be strengthened through sincere and open interaction. A vital change is taking place. Someone else’s circumstances may provide an opportunity for you to move into a more desirable position. By patiently being there, listening, relating, and/or encouraging, you can prevent a problem from escalating or, perhaps, impress others with your ability to step in and help. Don’t get sucked into the problem itself. Just cooperate where you can. This will enable you to take a fresh look at your own situation through a much wider perspective. Don’t be intimidated by the power that others appear to have, but do be prepared to learn something which can help you steer yourself free of confining circumstances. If you find yourself thinking “I have no choice“, remember that life, and your potential, extend way beyond your present circumstances. It could be that your view has been too limited. Your own or someone else’s situation should now encourage you to broaden your horizons – and remind you that mistakes are often our best means of learning. However, because we tend to deny our mistakes, we repeat the same error over and over so that positive change is never achieved. Look for a different approach this time and turn a mistake into valuable experience – from which you can actually prosper. Pay attention to the condition of your physical body. Recent stresses and strains may be taking a toll. Calm yourself down. Nourish yourself – in every sense of the word. Take care of yourself. You may be trying to subtly control someone, or it could be you who feels cut off from open expression. Nothing can be achieved until this tension is addressed. If you take everything too personally, you will be unable to see where you have misjudged a situation or denied your role in it. Present circumstances are testing and developing your ability to relax and be free in chaotic or even hostile situations. The nature of your intent will determine the quality of your 2 Year journey and, of course, peaceful intent will greatly relieve the ongoing jumble of stress in which you currently exist. Try to be diplomatic, considerate, tolerant, kind, and gentle. Connection is an ongoing theme this year, and your own wellbeing is directly connected to the wellbeing of others. If one person in your circle is unhappy, this will affect everyone. If there is a battle of wills going on, understand that in this cycle, it is a fight you cannot win. Winning is not the issue. Coexisting peacefully is what this is all about. The peace of mind you crave can only be achieved by accepting your situation exactly as it is, and by finding more realistic ways to unite with others. ‘Peace of mind’, just like happiness, is never permanent. These beautiful states of being come to us in ‘moments’ which must be cherished as they arise. Instead of fighting for something you do not have, make the most of what you do have. Cooperate with your environment and the people in it. Only then will you be able to regain your focus. You cannot change others. You can only change your reaction to them. So, relax those high expectations which none of you could live up to anyway. Partnership, teamwork, forgiveness, peaceful intent and, above all, awareness, and acceptance of reality, will create a clear road ahead for all concerned. Here is your Monthly Forecast for MARCH IN THE 3 YEAR. This forecast describes the combination of your 3 Year and the 3rd Calendar Month (3+3=6). What do you feel when you think of the word “home”? Somewhere in your vision for the future is a place in which you feel a warm and loving sense of both freedom and belonging. If not, you may have overlooked an important aspect of happiness and fulfillment. This month, you may uncover an unexpected truth about yourself, a loved one, or close associate. You may feel content with this. Or, you may feel that a certain situation or responsibility is preventing you from experiencing any kind of happiness at all. Something will occur which features responsibility, home, spouse, lover, children, family, pet, friend, relative or neighborhood, which enables you to communicate on a new level, to make an important decision, and move closer to personal freedom. No matter what is involved initially, the potential for eventual JOY is enormous, even if it is mixed with feelings of a heavier nature. Determine which responsibilities are yours and which are not. Are you placing responsibility for your happiness on someone else? Are you holding yourself responsible for someone else’s happiness? Is guilt telling you that you cannot pursue your own needs while someone else is having difficulty with theirs? Are you judging others or allowing them to judge you without considering each others’ individuality and unique circumstances? Are you setting unnecessary rules? Are you living unhappily under someone else’s rules? Everyone is responsible for creating their own happiness, no matter what their relationship happens to be. Something positive – even miraculous – is happening here, but you must feel and listen to your true feelings – as opposed to your stubbornness – if you are to appreciate the positive potential that lies beneath the surface of your current situation. Balance is the key. When your feelings are all muddled up together with no separation between what feels good and what does not, eventually nothing feels good at all. This is a chance to finally clear the air! Disagreements and diversity within a family or group are part of what it takes to be a family or group. Otherwise you’ll all be tied together by a fruitless common bond with each one yearning to move in different directions. Although you are connected by the love within your close relationships, each of you is a unique individual who must lead his or her own life and find his or her own happiness. If you believe that others are holding you back, it is time to speak your mind. But be prepared for an unanticipated response that exposes the part that you yourself have played. Coexisting with people whose experience of life is different from your own isn’t always easy. But, now, your willingness to understand them will enable them to better understand you. Of course, understanding someone does not necessarily make them any easier to accept, but whatever transpires in March can leave everyone involved feeling enlightened, inspired, or at least optimistic that the healing of a particular rift will eventually take place. As you observe and accept how others choose to live, you will realize that you need to be FREE to make your own choices. One thing is certain: you need your own time, your own space, and your own style if you are to live as you want to live. Here is your Monthly Forecast for MARCH IN THE 4 YEAR. This forecast describes the combination of your 4 Year and the 3rd Calendar month (4+3=7). January brought change. February made it personal. And March will clarify what has happened since the beginning of the year and help you figure out what to do next. Meanwhile, go about your life quietly and conscientiously. You have a lot on your plate, and you may have to give one aspect a rest while you focus on another. Arrange your agenda so that you can spend some time alone, with no distractions. You need to think, contemplate, feel your true feelings, and PLAN your future moves. Be aware that planning – not doing – is the main theme of this strange and introspective month. If you are feeling anxious, understand that your unexpressed feelings are preventing you from recognizing your “higher” identity and, therefore, your true strength. You will see an immediate improvement in your health, attitude, and situation, once you let it all out – especially your fear. Of course, fear is perfectly natural when you consider the fact that you have no idea where you are and are therefore unsure of where the road ahead will lead. The uncertainty of this cycle can be frustrating, and yet the only thing life requires of you now is your full presence in it – your awareness of it – and your willingness to learn. You have been lost for longer than you may want to admit, and what you are experiencing now is the acceptance of that fact, the desire to do what is best, and perhaps the fear that you may not know what ‘best’ actually is. Slow down. Stop struggling. Face the facts and take each situation as it comes. You have had quite enough of your present circumstances and are realizing that you are capable of creating a much more fulfilling existence for yourself – and to organize your life around creating it. Appreciate your own company. Ask yourself what you really want to achieve in this precious lifetime of yours. What do you want to be doing – how do you want to be feeling – a year from now; five years from now; ten years from now? Stop what you’re doing and ask yourself: “what is really happening here?” Then wait for the answers to reach your conscious mind. Listen to them. FEEL them. This practical use of your intuition will help you devise specific plans for the future. It may take the words, actions, or circumstances of someone else to open your mind, but only you can answer the questions you are asking at this time. Reflect, meditate, analyze. Review the past. Accept the present. Envisage your life not in fragments or segments, but as one continuing journey over which you really do have control. Your present circumstances are a small and temporary part of the whole adventure; and a turning point to a brighter future. Release yourself from the illogical judgment which tells you that you have to produce continuous results in order to be successful. Take your time and look for alternatives instead. If you believe you can’t do something because you don’t know how, learn how. Above all, move away from the guilt which is telling you that you should be doing better than you are. In this chaotic world, you are doing a lot better than you think! Here is your Monthly Forecast for MARCH IN THE 5 YEAR. This forecast describes the combination of your 5 Year and the 3rd Calendar Month (5+3=8). You cannot reach a new destination if you are afraid to take that first step. This month, there are places to go, people to see, work to do, and unusual possibilities to explore. Commit to efficiency and professionalism. No matter what changes are taking place in your relationships and general circumstances, the current potential for growth is significant. If your personal power in this world is to reach a higher level, you must first be aware of a power struggle you are engaged in. In order to bring clarity to an area of confusion, a balance of power is needed. This will enable you to reclaim your life as your own. March offers the chance to make a significant move in the direction of your choice. And do remember that choice is what it’s all about this year. Everything in life is a matter of choice, right down to how you treat other people and allow others to treat you. Stay alert. And remember that the most important changes must first take place within. If you believe that others are holding you back, it is time to release your dependence on them. They may be traveling a different route entirely. A change in one of your relationships is likely, and although it may feel uncomfortable at the time, this is a positive change which cannot help but improve your long-term conditions. There is at least one burden that you have carried for too long which needs to be put in perspective. By expressing yourself in a friendly and cooperative way, you will be helping to empower someone else so that you, yourself, can gain more freedom. In this month of action and high expectation, present yourself with confidence. Don’t be deterred if your plans are interrupted or propelled into an unforeseen direction. Ride it out – see where it leads. Do not judge something before you have fully experienced the feelings involved. You now have the ability to make things happen to your advantage. Your power to manifest requires flexibility and attention to detail, so that you can see the hidden opportunities as well as the obvious ones. Another part of your power includes being able to sense avenues of success. To sense is to feel. This is sometimes referred to as emotional intelligence and includes knowing and then doing what must be done for the desired result to materialize. It is perhaps the most important area of learning in which we must all become engaged if we are to regain our freedom in the world. You don’t have to look for abundance. It’s already there. It is all around you. So, recognize how you have been building walls between you and greater prosperity. It’s time to build bridges, instead. Those in the 5 Year (and those with strong 5 energy in their charts) now have an amazing chance to not only become aware of valuable information but to also understand its deeper meaning. Change those old beliefs that have always prevented personal progress or satisfaction. Feel the freedom that always follows the release of stubbornness. The odds are in your favor, so decide what you want – and pursue it. Opportunity is everywhere if you are open and alert enough to see it. Act in a serious and well-organized way, and above all, believe in your own abilities. Take what you want, but know when you have taken something as far as you can take it. Know when you have had or done enough. Know when you are satisfied. Here is your Monthly Forecast for MARCH IN THE 6 YEAR. This forecast describes the combination of your 6 Year and the 3rd Calendar Month (6+3=9). An ENDING of some kind will help you to move away from an extreme situation so that a more balanced existence can be experienced. This is the right time – the natural time – for such an ending to occur. Be aware of any obsessive or possessive behavior this month. If it exists anywhere in your life, now is a good time to put an end to it. This is not love. There may be another less apparent aspect of your life which is ready to end. If so, life will bring it to an end for you. Perhaps you are facing an obstacle which could push you toward some kind of extreme. If so, go into your deepest feelings and accept the reality of everything that is happening to you and whoever else is involved. It is time to let go of a feeling or belief that is keeping you tied to the past. Don’t be afraid of endings. They set you free from the pain of yesterday. But do not deny your feelings about what is ending. If you cannot get past the feeling, you will be unable to proceed, no matter how much you deny it exists. Don’t rush. It takes time, sometimes a great deal of time, to fully experience and heal from the feelings as powerful and as conclusive as those you are likely to feel this month. March may bring a dramatic situation into your life concerning the home, family member, friend, or a cherished idea, project, or possession. Extreme grief – or extreme happiness – may be experienced. Remember: you are learning the true meaning of love this year, and that love is often hidden beneath erroneous judgments you have made over a long period of time. Of course, not all endings are traumatic. Some can lift the weight of the world from your shoulders, unless guilt has convinced you that it is wrong to feel this way. Perhaps it is guilt that needs to be ended now, or some other feeling, belief, or attitude that is preventing love from flowing freely. Notice where unwanted items, circumstances, and memories are cluttering up your life and preventing inner peace. Put an end to these areas of stagnation and start to live by your own design. Those feelings of frustration and fear are coming directly from your heart – your heart’s desire to start living fully again, to experience joy, and above all, to feel a true sense of belonging and ‘home’. This is also a cycle of giving, purely for the sake of the pleasure it creates. But giving is not confined to material or monetary matters. Acceptance, love, fun, laughter, understanding, gratitude, and encouragement are the greatest gifts you can bestow on those around you at this time. And the greatest gift you can give yourself is that of regaining your sense of individuality and realizing that life does indeed ‘go on’ – the moment you heal from and let go of what was keeping it at a standstill. Here is your Monthly Forecast for MARCH IN THE 7 YEAR. This forecast describes the combination of your 7 Year and the 3rd Calendar month (7+3=1+0=1). The nature of the 7 energy is to rise and fall, to ebb and flow. A recent fall or ebb has altered the direction of your life, and one of the things it seems to have given you is an increase of time and space in which to think, analyze, learn, plan, and heal. However, only part of you seeks quiet spiritual awareness, while another part wants fast forward movement. Part of you has little interest in materiality, while another wants all the material rewards it can get. The push and pull of your desires is making you aware of your inconsistencies and inner conflicts. Don’t judge yourself for having them! You need to know just how independent or dependent you are; how free or enslaved your Will is; and how much you rely on the participation, opinion, or approval of others. You need to recognize the parts of you that you have been refusing to acknowledge. The power of your own truth is rising. If you allow it to flow freely, it will enable you to live as you desire – perhaps not immediately – but if you don’t start somewhere, such as now, your goals may never materialize. The power of your own truth starts with being honest with yourself. There is bound to be confusion as you leave denial and face reality. The truth is often hard to understand or accept as you move from one level of consciousness to another. We are all evolving in our own way and our own time. Being honest with yourself opens the way forward. What may seem like a distraction is actually a catalyst for a much-needed change of pace and focus. March is a time of originality and new beginnings. But the situation is not simple. Much of the healing that needs to occur in you is now being reflected by something that is happening to someone else, or by the emergence of deeply buried memories and feelings. Either way, life is about to take you back to the very beginnings or origins of what you most need to heal. You may be surprised to discover just how much feeling you have ignored, and for how long. Even when you identify the parts of your past that need healing, the old buried emotion still needs to be accepted, and expressed out of your body. This month offers healing on a very large scale – and you must give the process both the time and acceptance it needs. It is time to get to know the real you, rather than the ‘pretend’ you. By now, you may be feeling withdrawn, tired, reserved, or secretive. Others may see a strangeness about you and wonder what is happening to you. There is no need to alienate yourself from those who care for you, but if you ignore this month’s introspective agenda, you are likely to have bouts of aggressive or submissive behavior which are unlikely to help you in any way. You may become cynical and pessimistic. You may engage in episodes of egotism and intolerance. Or you may become timid, afraid, and unable to act decisively. If you believe you already have Free Will, you are very much mistaken. At this time, no one on Earth is free. We are all enslaved to various situations and institutions which would not be able to survive if we started to really think and feel for ourselves. No one else can give you freedom. It is not theirs to give. Freedom is a state of being which can only come from within, and the same is true of peace. The circumstances of March offer you a taste of both. Here is your Monthly Forecast for MARCH IN THE 8 YEAR. This forecast describes the combination of your 8 Year and the 3rd Calendar month (8+3=11/2). SLOW DOWN. As much as you may feel compelled to do something, this cycle urges you to be patient and bide your time. Your own needs are being taken care of behind the scenes where your impatience cannot damage their potential. March is all about right timing, and this is not the time to push your plans ahead unless it involves playing a cooperative role in some kind of partnership. Give your attention or support to someone or something else instead. The way you respond to others will have a major impact on your overall plans. You will be needing the support of others later in the year, and now is a good time to remember that what goes around, comes around. March in the 8 Year (an 11/2 month) provides a preview of what we must all learn in the years ahead with regard to patience, power, freedom, peace, teamwork, partnership, cooperation, intuition, and diplomacy. Try to stay as composed as possible as delays, doubts, or time-consuming details distract and frustrate you. Attention to detail and a high sense of priority are essential now. The most significant contribution you can make this month is to give others your patience, kindness, and understanding. Their circumstances may be more complex and painful than you imagine. Don’t force your presence or ideas on anyone. Stay in the background. You are here to help, not control. All individuals are connected to the one large body we call humanity; and humanity is only a part of an even larger entity called life. This month provides a spectacular opportunity to experience this connection for yourself. Try to approach matters in a relaxed but attentive frame of mind so that you can recognize and absorb this new intelligence and connect the dots. Listen carefully and hear what is really being communicated – or omitted. At some point while you’re cooperating, taking a back seat, tending to details, and putting your own plans on hold, you will realize that until these details are taken care of, you cannot proceed anyway. Someone or something has entered your life to tell you, or show you, what you most need to know at this time. Or perhaps this person or thing has been around all along. Whatever the case, through the power of patience and the ability to see other sides of the story, a new sense of direction will suddenly emerge. This will confirm that although the purpose of this month’s events is to take your mind off your own goals, it is also to help you clarify them. What is motivating you? If your goals are based on competition, greed, one-upmanship, revenge, or anything that does not have a peaceful and loving intent, you cannot attract success. Find the love in your heart and allow it to direct you. No matter how it seems out there, humanity IS evolving from war-like competitiveness to peaceful and loving connectedness and CO-existence. Doing what we love and loving what we do – doing what we FEEL like doing – is the key to freedom, happiness, and peace on this planet. Of course, this cannot happen until we develop the courage to be free and peaceful within ourselves, and to know that the chaos we are experiencing in the outer world is our own resistance to freedom and peace. And notice that the deeper ‘resistance to change’ digs in its heels, the more irrational it becomes. Here is your Monthly Forecast for MARCH IN THE 9 YEAR. This forecast describes the combination of your 9 Year and the 3rd Calendar month (9+3=1+2=3). March marks the end of a phase in which you were so easily swayed or hurt by the insensitivity of others, but don’t be surprised if your own insensitivity becomes an issue, too. This is a time to conclude a situation which is no longer desirable, and this can be an enormous relief if you don’t deny the inevitable feelings that arise when you say farewell to an old friend, habit, belief, or situation. March triggers nostalgia and longing. Don’t let guilt tell you that you must keep up the appearance of being rigidly in control of your emotions. Guilt’s function is to stop the emotional movement that allows life to flow freely. You are going over old ground in order to retrieve feelings of happiness that are buried there. But be sure that what you are remembering is not just the appearance of happiness. We can easily deceive ourselves into believing we were happy just because we were able to smile. It is the inner feelings of happiness, and not the pretense, that you must search for now – feelings of true fulfillment, no matter how brief they may have been. If you cannot find old happiness, you will first have to express the layers of sadness that are burying it. The 9 Year is emotional by nature. It is also very healing and can help you expand your creative ability, stretch your imagination, and see your new potential. It will help you discover a talent you have kept hidden, and to phase out situations that do not contribute to your well-being. Notice the positive responses from others as you find your natural way to communicate. Friends are a major aspect of this cycle. Perhaps there is an unresolved issue hanging over you. Perhaps a current friendship has lost its sparkle. Perhaps, the nature of a friendship is causing a problem. A friendship may end, or a misunderstanding may be cleared up. Remember that the only approval you need is your own. Keeping up appearances is a form of fear. It is fear of rejection – fear of how you are perceived by others. Self-acceptance is the only antidote. Accept yourself for who and what you are, and who you were, too. Self acceptance creates a healing inner magnetism which enables you to attract who and what you love, instead of situations and people with whom you have nothing in common. You have to love yourself, and like yourself, before you can expect others to truly love or like you. Realize how hard you have been on yourself in the past. What is the worst that can happen if you don’t get your life exactly as you (or others) think it should be? Answer that, and you will release yourself from the painful grip of guilt that always tells you that you should be doing better than you are. Notice, too, where you may be transferring your own guilt onto others by implying that they should be doing better than they are. While you are searching for past happiness, you will see that the only times you were genuinely happy were when you were not concerned about what others thought of you. Always remember that neediness attracts neediness. Guilt attracts guilt. Satisfaction attracts satisfaction, just as money attracts money, and love attracts love. This entry was posted in Monthly Forecast and tagged feelings, Free Will, healing, karma, monthly numerology, motivation, numerology on February 26, 2019 by Christine Delorey. Here is your Monthly Forecast for FEBRUARY IN THE 1 YEAR. This forecast describes the combination of your 1 Year and the 2nd Calendar Month (1+2=3). You may have firm material aims, but they will never be realized unless the specific feeling of personal satisfaction is your ultimate goal. A dream is often cut short when the reality of what must be done to achieve it sinks in. This month, you will learn the difference between the mere pursuit of happiness and actually living how you want to live. You will also learn the difference between avoiding reality – and basing every decision on the unfolding realities around you. Get specific. What is it going to take to make you satisfied with who you are, and to appreciate what you have? You must believe in yourself and take your abilities more seriously. If certain people do not seem to be coming through for you, remember that this year of forward movement requires you to stand alone and face your own reality. You can only rely on you for the results you want. It is also likely that the people you are depending on are actually depending onyouto take the bull by the horns and assert yourself. Remember that the evolutionary purpose of the 1 Year is to teach you about independence. February highlights the powers of self expression and communication: what you choose to express, and what you choose to keep under wraps. It urges you to listen: to really hear what is being said – or notice where nothing is being said in an area where open dialog is needed. Discretion and diplomacy will work well for you now. Do what feels right for you, moment by moment. Recognize and appreciate the small joys in your life. Notice those areas in which happiness already exists and truly appreciate them. If you cannot see them, it is probably because they are hidden by areas of unhappiness or turmoil which must not be ignored. Those are the issues and circumstances that must be worked through and changed as the year proceeds. Keep in mind that some of those situations are caused by your own oversensitivity and a tendency to take things too personally, which is actually your frustration (anger) for not knowing precisely where you are or where you’re going. Be patient with your progress because this particular journey has only just begun, and as it unfolds, there will be many new sources of fulfillment to discover and experience. Inner beauty is vital, but do not neglect the physical. However, if you base your outer appearance on what others think, you are not learning this valuable lesson of individuality. On the other hand, some other aspect of appearance and presentation may be involved here, particularly in work related matters. A chance to progress may arise through friends, social activities, and connecting to others, personally and professionally. Be open minded. The world is changing fast. New ideas are needed. They will flow far more freely in a sociable and friendly atmosphere that is accepting of those who are “different”. Someone else’s circumstances can affect you dramatically, and you may need to reassess the effect others can have on you, and your loved ones. Find a way to exercise compassion, while at the same time, take care of your own needs. February provides an opportunity to discover what makes you happy – and what does not – and to simply feel how GOOD it is to be alive! Here is your Monthly Forecast for February IN THE 2 YEAR. This forecast describes the combination of your 2 Year and the 2nd month (2+2=4). February’s themes of limitation and effort will make you aware of the restrictions that previous choices have created, and the hard work it will take to make the necessary long-term changes. If a misunderstanding or clash of interests distracts you from a goal, or creates uncertainty about who you are and where your life is going, it is time to sort out this situation. But remember that it’s not all about you. The feelings of all concerned are likely to run deep. Aggression will not help. Avoidance will make matters worse. Remember thatpeaceis the main objective of the 2 vibration. Try to use tact, humility, and encouragement toward someone who must not only deal with his or her own uncertainties and insecurities, but also with yours. We are all fellow travelers on this precarious road of life, and this month in particular, much can be achieved through basic decency and respect for each other. You have arrived at a crossroads and decisions must be made. You can either commit to taking an ambitious but patient route, or you can just give up. But do ask yourself why you cannot handle (balance) two or more situations simultaneously. There is so much more to you than only your relationships, or only your work, or only any aspect of your existence. Perhaps, if you were better organized, or less inclined to take things so personally, you would have more time and space in which to work, rest, and even play. The wellbeing of others must be considered, but you will be unable to take care of their needs if yours are ignored. Yes, others are expecting a lot from you, and you would do well to be sensitive to their circumstances, needs, and feelings, and give them your support. You are actually in a strong position, but you can easily upset things by jumping to conclusions without patiently assessing the long-term implications. Only by simplifying and being better organized will you know what your priorities need to be at this time. This will enable you to consciously set the foundation – actually start to create– what you want for yourself. Put everything in its right place, detail by detail. Prioritize. A unified effort will be stronger than any individual effort. The true meaning of co-operation is to operate together. Open your mind to alternatives. It is only your fear of what may be in your mind that is keeping it closed. Denied fear often draws to us the very situations we are trying to avoid. The acceptance of fear helps us to find ways to bypass or deal with potentially frightening situations. Don’t assume that you already know what others are thinking or feeling. Don’t assume anything. Your vision is not being destroyed by the presence of others. It is simply expanding so that they can be included in it. This month brings you to the very edges of your limits so that you can push those boundaries away from you with your increased determination, patience, and belief in yourself. As you expand as an individual, so too must your limits of tolerance. You will then realize that you can divide your attention proportionately, and that a particular vision or dream, if you are prepared to adjust it to suit your new reality, is still very much alive. Here is your Monthly Forecast for FEBRUARY IN THE 3 YEAR. This forecast describes the combination of your 3 Year and the 2nd Calendar Month (3+2=5). Virtually anything can happen in February in the 3 year – a month of diversity, excitement, change, and high expectation. This month, horizons broaden. Love blossoms. Ideas and babies are conceived. New life is formed. Possibilities abound. Adventure is in the air. You may experience the conclusion of one matter so that another can expand. There is likely to be a ‘pregnant’ feeling now; a feeling of expectancy. And, yet, this month can only promise one thing. The unexpected. Your desire to experience life more fully is expanding and, yes, it is possible for you to have freedom and happiness without guilt’s incessant harassment. Your life will change this month. A whole series of changes may occur – a chain reaction of events. Be confident. Go with it. Remember it was you who wanted change in the first place. Stay focused and alert. So much is going on around you that you may ignore important details. You could say or do something inappropriate, or become accident prone. Concentrate on what you’re doing, but not to the extent that your peripheral vision is completely cut off. You need to be able to see out of the corners of your eyes and face all the facts. As your freedom to move and express yourself increases, you must also increase the boundaries of your imagination. The same tired old thinking will get you nowhere. Don’t worry about not knowing how to make something happen. That will come in time. Before you can walk, you must learn to crawl. Keep your expectations high, but understand that you may end up discarding what you currently ‘think’ you want. And, if you don’t know what you want, that’s OK too. The important thing is to give your imagination its freedom. You may find that a change in someone else’s life will enable you to initiate an important change of your own which includes a more creative and less fearful way of thinking. Attention must also be given to a particular mistake you have been making most of your life – a pattern of behavior or lifestyle that has consistently created trouble for you. You are reaching a deeper understanding of how it has affected you (and possibly others) and you must figure out a way to break this mold and let it evolve into the very experience that will help you move forward. You are experiencing many different feelings at this time. The foundation of your life has shifted and this can create fear, sadness, anger, and all kinds of stress. This month is a constant exercise in emotional release, followed by renewed enthusiasm. Your deepest feelings are being released in waves – gigantic healing waves. Whatever happens this month is a way forward. Your ability to clearly and effectively communicate your needs, feelings, and ideas, will certainly affect the outcome. If you find yourself in unknown territory, stay alert. You are traveling through life’s corridors of change. Even if a certain change shakes you to the core, accept the fact that it presents you with an opportunity to be free. Act on your instincts – your true feelings – and travel confidently with this exciting cycle. A word of warning: this month’s vibrations are creative, physical, and sexual in nature. Pregnancy vibrations are at their highest. A physical child may be the form of creativity you want to achieve. If not, forewarned is forearmed. Here is your Monthly Forecast for FEBRUARY IN THE 4 YEAR. This forecast describes the combination of your 4 Year and the 2nd month (4+2=6). You may experience a conflict between something close to your heart and your growing need to evolve into a more independent person. The choices you make now can profoundly effect others. Without considering their realities, needs, and feelings, nerves can become frayed and responses are likely to be over-reactive. The themes of February are common-sense, love, fairness, responsibility, and healing. The 4 Year lets you know what your limits are, and right now, it does seem that your personal, professional, or domestic limits have been reached. You need to regain your balance and devise a realistic schedule in which all your responsibilities can be taken care of. As you attempt to get better organized, remember that sometimes things have to fall apart before they can fall into place. The pressure you are experiencing is coming from your impatience to produce an answer without fully understanding the question. What may seem like a loss, interruption or intrusion may actually be preventing you from moving in the wrong direction, and can improve your overall timing. This may be a chance to focus less on making a living, and more on how you would like to be living. Life is trying to connect you to someone or something that could be a catalyst for greater order and stability – or to help you walk away from a negative situation. February’s events will make you realize just how strong you actually are by helping you understand the difference between struggle and effort. An uncomfortable rift can be healed by letting go of an outdated belief as to what a certain relationship should be. Calm down. This month is all about problem-solving, restoring your ability to love without fear of loss, and creating peace within yourself and with those you care for. Face the problem and be prepared to work on it. Do not overlook vital details. Being totally realistic will lead to the constructive solutions and healing that you, and someone else, evidently need. Be patient. Know the difference between helping and interfering. You don’t have to be right all the time. It’s okay to admit that you don’t have all the answers. In fact, there is likely to be one situation for which there is currently no answer at all. Accept it for what it is and express your feelings about it. Guilt and blame can serve no constructive purpose. Attend to matters of maintenance or repair in your home and working environments. Tidy up any clutter that is taking up valuable space and blocking new energy from entering your life. Check on the value of unwanted items. Selling them could help to bring more order to your finances. A more creative approach to money must be implemented so that a significant long-term change can take place. We are living in confusing times in which everyone must learn to solve their own problems according to their unique needs and knowledge, and to join forces with others who have also reached this level of understanding. Free Will is the magic that is missing from this evolving creation called life. Free Will is the mastery that comes with taking full responsibility for yourself. Whenwe take full responsibility for our own lives, we realize that no one owes us anything – and there’s no one to blame. The main ingredients of Free Will are (1) loving intention, and (2) the open expression of emotion. This evolutionary combination will enable you to feel and sense your way through life instead of being told by others what can and cannot be done. And, from a state of genuine Free Will, it is so much easier to consider other people’s feelings and needs, too. Here is your Monthly Forecast for FEBRUARY IN THE 5 YEAR. This forecast describes the combination of your 5 Year and the 2nd Calendar Month (5+2=7). This month, you will need to eliminate distraction and commit to finding the best way to change a certain situation. Think things out carefully, study, adjust, and plan. Some quiet time alone is needed, along with a new approach and a change of attitude. Observe what you already have, and see its greater potential. Admit to past and present mistakes so that you can learn and benefit from them, and gain the wisdom that comes from being honest with yourself. New ideas are pushing you in a new direction, but unresolved matters of the past can delay your progress until they are finally (and fully) dealt with. Wishing for a different outcome will not change the reality of that outcome, and although you may plan and visualize the way something will turn out, you then have to face the reality of how it does turn out – and be prepared to quickly adapt to the unexpected. There are some questions for which there are no answers, but now in February of the 5 Year, there is at least one situation for which the answer is blatantly clear. When you understand this, your feelings of loneliness, doubt, pessimism, and anxiety will melt away. They are echoes of the past which are leaving your life. Let them go, and start looking forward again. Pay attention. Straighten up. Feel your freedom. Feel your imagination stirring from the restrictions placed on it last year. Regain your dignity and sense the potential before you. One of the problems with 5 is that without correct understanding of current reality, you can become impulsive and reckless. No matter how unsatisfactory a situation is, don’t make that mistake now. Patient and careful planning is needed and, if you are planning to bring an end to circumstances that are draining your Free Will, do so thoughtfully, and in a way that serves the best interests of all concerned. You have much to offer, but it may need to be presented in a different or more realistic way. Then you will see that the world has so much to offer you – and that you must learn how to manifest what you want in the light of what is happening locally, nationally, and globally. It is all connected. You will be presenting yourself and your ideas to the world in March, so you had better use February to make yourself and your ideas presentable. Get your act together. NOW is the time to prepare and orchestrate, and to arrange something that you have been unable or afraid to do. Arrange it anyway. By the time March rolls around, unexpected things will have happened, and you will have worked through your fears – and you will be ready. The numbness you are feeling is the result of all those feelings you’ve been holding in for a year or more. Find a way to let them out – privately if possible. And do be perfectly clear about one thing: there is never a need to hurt yourself or anyone else when expressing yourself. Remember those times when you gave up on something before you truly experienced it, or stubbornly held on to something that served no purpose. This year is all about learning and gaining experience from previous mistakes – mistakes that you will certainly not want to repeat this month. No matter how it all feels right now, you really do stand to grow and prosper from the new circumstances that are starting to develop, and which are a lot brighter than you may currently be willing or able to admit. Here is your Monthly Forecast for FEBRUARY IN THE 6 YEAR. This forecast describes the combination of your 6 Year and the 2nd Calendar Month (6+2=8). This month, a change will occur that affects your work – and your domestic and personal life. Approach everything in a confident and businesslike manner, and request whatever help or advice you need. Leave nothing to chance. The spotlight is on your finances, home, material belongings, and long-term security. This is an opportunity-filled month when meaning and warmth can be restored to all areas of your life, creating a more balanced and comfortable feeling than you have experienced in a long time. This cycle of reward gives you a return on whatever you have invested into your life. It emphasizes strength and prosperity and is likely to involve money, business, and property. A heightened sense of responsibility is likely in financial, legal, and career matters. The 6 Year highlights education, and you are likely to learn new things which can help boost your personal power levels. You may even learn something which can boost the prospects of someone else. But it is not enough to merely learn new facts. The key is to correctly understand the information you receive. Don’t be stubborn. Be prepared to learn new things. You can make things happen by acting decisively, realistically, and responsibly. Do not allow greed to motivate you as this could cause your best laid plans to backfire. If you concentrate only on the potential reward, you will be reducing your focus on what must be done to manifest it. You need a high self-esteem and strong faith in your abilities. You also need to recognize when a mistake is not a mistake and when a delay or distraction is actually a blessing in disguise. Be alert and aware, and understand the value of what you have which, by the way, is likely to be an opportunity, not a problem. A practical frame of mind will help you to express yourself with intelligence, confidence, and affection. Others will be drawn to your material or financial common sense: even inspired. This is a good time to consider how your actions – and the way you see the world – may affect others. Maintain a loving balance between them and your outside life. Balance does not require you to stretch yourself uncomfortably between your different responsibilities. On the contrary, balance creates time and space for all that is important to you. By the way, what is important to you right now? Your priorities are changing! Organize and manage your different activities in the order of their importance, as this will enable them to coexist freely and peacefully. Express yourself clearly. Put your cards on the table! You are in the process of redesigning your life, and there is simply no room for game-playing or keeping up appearances. All that matters are the facts – and your ability to understand and take advantage of them. February is a time to take new steps which will draw you closer to your true desires. This month, you have the power. Here is your Monthly Forecast for FEBRUARY IN THE 7 YEAR. This forecast describes the combination of your 7 Year and the 2nd Calendar month (7+2=9). The purpose of February’s powerful vibrations is to wake up part of your mind that is asleep. As you start to question your own beliefs, focus on your true feelings, and strive to end something that no longer serves a purpose. But don’t jump to conclusions. Think about this carefully. What needs to end is your reaction to something or someone else – even to society itself. Your mind is thinking in unfamiliar terms. Issues of the past are reemerging suddenly and mysteriously – triggered by events taking place in the present. Your memories, along with the feelings that were buried with them, must be allowed to flow without further denial because they represent the very things that are now tripping you up or holding you back. The insight you stand to gain from the past can change your whole view of the present in the most positive way. Notice how your current situation is connected to all the things you ever did, and how each of your experiences automatically led to another, and then another, until you finally reached this place called NOW. Of course, it is impossible to be fully in the present when half of you – your emotional half – is stuck somewhere in the past. You will not be able to look forward if your feelings keep dragging you backwards. Release those buried emotions by feeling them fully and expressing them out of your body. See your life as one continuing journey – with a past, a present, and a future – rather than an erratic fragmented sequence of unrelated events. The past is part of your unique journey. Regrets are unnecessary because whatever happened to you is only one segment of your voyage into Free Will. Next month, you may find yourself plotting an entirely new course. But, in February, things are ending, not beginning. In fact, nothing new can begin until these emotional conclusions take place, and a particular event this month will help you to do so. Getting your feelings out is the most needed ending of all right now. If you cannot be honest with yourself, who can you be honest with? How can you expect others to believe in you if you do not believe in yourself? These endings may affect others too. A sympathetic and compassionate approach will benefit all. GIVE, simply for the sake of giving, without any expectation of return or thanks. But do be aware of the different forms of giving that exist, including love, generosity, acceptance, time, assistance, and creative output. Sometimes giving simply means being yourself and encouraging others to be who they are. It can also mean giving way, giving in, or giving up. Only you can determine what you need to give and to whom. But remember that giving always entails letting go of something. Here is your Monthly Forecast for FEBRUARY IN THE 8 YEAR. This forecast describes the combination of your 8 Year and the 2nd Calendar month (8+2=1+0=1). This is a month of independence, originality, and fresh starts. An important change is developing which will help you to move closer to a better way of life. Avoid impatience and aggression. Stay confident and focused, no matter what is going on. You are exactly where you need to be in order to receive valuable new information or insight. This will replace old beliefs that have been held in place by inexperience or misinformation. Your feelings, thoughts, and actions represent the planting of seeds which will start to bud in April. Get passionately involved with your own needs and desires and start creating a more suitable environment from which to fulfill them. Your goals will need dedication and time to materialize. Patience and consideration for others will also be needed as you make your changing world more comfortable. If you don’t know exactly how to get the ball rolling, don’t worry. The how to will follow the desire to. The magnetic pull of your desire – your Will – your feelings – your senses – your instincts – are now drawing you to the means of turning desire into reality. Be prepared to learn new things as the situation changes. Some changes will occur of their own accord. Other changes must be made by you. One small change will lead to another – opening up an entirely new direction for you. We are all afraid of change. When fear arises this month, allow yourself to feel it instead of pretending that you’re not afraid. Acceptance of your feelings will provide the answers you need. You will then be able to proceed intelligently and confidently. Now is a good time to eliminate addictions and excesses that keep you dependent on someone or something else – or keep you distracted from reality. This is a month to stand alone and seriously assess your needs, capabilities, potentials, and resources. Start something new. At least, start a new phase of an existing situation. Whatever you start now, even if it is only in your mind at this stage, stands a very good chance of success. Think about this carefully if you have a history of starting things but not following through. This cycle responds positively to originality and creative thinking. Only by focusing on what you want will you be able to feel and measure your desires and abilities – and determine your own identity, instead of forever being told by others who you are and what you should be doing. Have patience with yourself, other people, and your goals. A sense of loneliness is inevitable this month. You want the love and support of others, but it is you, alone, who must do what is necessary to bring your desires to fruition. Here is your Monthly Forecast for FEBRUARY IN THE 9 YEAR. This forecast describes the combination of your 9 Year and the 2nd Calendar month (9+2=1+1=2). A stressful aspect that you just can’t stand any more has, thankfully, run its course. The sooner you admit this to yourself, the sooner a decision can be made and acted upon. Something has to end, and this month’s healing energies provide an opportunity to unburden yourself from something you have been reluctant to confront, even though it has been draining your energy to a large extent. The more you struggle with the reality of certain situations, the more sensitive you will become and, therefore, more vulnerable to some form of pain. When you stop struggling with the truth, you must then accept that it’s OK to feel ‘relieved’. Only guilt would tell you otherwise, and there is no place for guilt in your life right now. Take things easy. Get as much rest as you can. Your own interests, plans and goals are being taken care of on some other plain while you focus on an intense relationship matter. This could be a relationship with a person – or something else to which you are connected. This sensitive cycle promotes peace, patience, diplomacy, partnership, and cooperation. February is a cycle of intuition, balance, and acceptance. Most of all, it is a cycle of emotional honesty. So, if you are losing patience with a situation, this is a sign of progress, not defeat. You have allowed certain circumstances to go on for too long because guilt, which thrives on your fear, told you that you had no choice. Now you know this situation cannot continue and that you must find a solution that allows you to keep what you love and move away from – or change – what is hurting you. And, In February, there is likely to be more than one instance of this. Teamwork and cooperation play important roles. There is a cause for every effect, and it is the cause, from the past, that you must now find and heal. You are traveling through powerful and cleansing vibrations and, if you are honest with yourself, you will experience many different feelings that you previously tried to avoid. They need to come out now. Outward expression is how they heal – provided healing is your true intent. Remember that your healing process is a personal concern. There is no need to confront others when releasing your feelings, although it may take the words or actions of someone else to bring these feelings to the surface. Give yourself the privacy and the time you need for this process. Your life cannot move forward in a satisfactory way until this matter is resolved. Proceed calmly and confidently with your daily affairs. Many details need to be taken care of. If you find yourself swaying between having too much patience and none at all, acknowledge what is really happening here – you are being stretched between the extremes of your situation. Being aware of these extremes will help you to find a point of balance from which you can express yourself spontaneously, without hurting yourself or anyone else. Allow others to express themselves freely, too. The vibrations of February are gentle and caring, and it is YOU that you need to be gentle and caring with. Face your reality, look for the deep-rooted cause, release the feelings involved, and relax with the new understandings that follow. This entry was posted in Monthly Forecast and tagged feelings, Free Will, healing, karma, motivation on January 30, 2019 by Christine Delorey. Happy New Year fellow travelers! Wishing us all a safe, healthy, and successful journey in the 3 energy of 2019. January 2019 is a 4 Month (1 + 3 = 4) in which setbacks and breakthroughs seem to occur simultaneously. A new article about 2019 is coming soon ~ and what an eventful year it is going to be as we make our way to 2020 – the first major turning point of the 2000s. Example birthday: September 25: add 9+2+5+3. This adds up to 19, and 1+9=10, and 1+0=1 (keep adding until you reach a single digit). So, in this example, the Year Number is 1. If in doubt about your Year Number, use this contact form or message me on facebook or twitter with your month and day of birth. AT THE END OF YOUR MONTHLY READING FOR JANUARY, THERE IS A LINK TO YOUR YEARLY READING FOR 2019. Here is your Monthly Forecast for JANUARY IN THE 1 YEAR. This forecast is a combination of your 1 Year and the 1st month (1+1=2). After last year’s journey of endings, drama, and deep feelings, you need to find your bearings and accept not only whatever your present reality happens to be, but also the way it is making you feel. This is not the best time to push ahead. It will take more time for you to understand the true nature of this new era of your life. During this ‘waiting’ month, try to be patient, observant, and considerate of the needs of others. Explain to them that you intend to make a fresh start this year, and that something – or everything – must change. Communicate your intentions clearly and diplomatically, even if you are not yet sure of what you want to change. Let others express their feelings too, and keep in mind that you may need each other’s support throughout the year. In terms of how you get along with someone else, January offers the first positive new beginning of the year. This is a time to both give and seek cooperation, to find some common ground and create a spirit of partnership and teamwork. This cycle of connectedness is pointing out that when an action is taken in one area, it creates ripples of energy that effect all areas. The laws of cause and effect are always at work, and this month, the degree to which you relate to and cooperate with others will be returned to you later in the year, and possibly by people other than those with whom you must cooperate now. This is an opportunity to create ‘good karma’, on the understanding that karma is just another word for cause and effect. For instance, imagine being in a crowd situation in which you are being pushed by the person behind or next to you. The tendency is to blame this person instead of the one at the back who made the original push and created the domino effect. Fear of being crushed then develops into hostility between you and the one closest to you. Always look for the root cause of any discomfort you are feeling. This year holds many lessons in the appreciation of individuality and diversity. Your understanding of life comes from your experience of it. Your feelings are how you experience life. However, your feelings and thoughts are not the same thing, and it is necessary for you to know the difference between them and allow them to come together in loving alignment. Knowing what you think and feel is the only way to be free, otherwise you will forever be in a state of confusion while your controlling masculine mind tells you one thing, and your freedom-loving feminine feelings long for something else. Focus on personal relationships so that a mutual acceptance can be reached; so that peace is in the air, and there is a relaxed feeling between all concerned; so that love can flourish – or be found. Make this a gentle month. Force nothing. Pay attention to those time-consuming details. Look for important connections and clues in all that is happening within you and around you. The circumstances of someone else can provide great insight. Take a back seat. Quietly observe. Get a sense of what is really going on inside the complexity of your own reality. Then, from what may seem an unlikely source, you will find a missing link – a connection – between something that appears to have little to do with you, and the course you will be taking for several years. January invites you to find the link between your past and your future, which can only be understood in the present. Here is your Monthly Forecast for JANUARY IN THE 2 YEAR. This forecast is a combination of your 2 Year and the 1st month (2+1=3). You are not responsible for other people’s problems, and they are not responsible for yours. However, the people in your life this month are here to connect you to specific realities and questions that need your attention. The answers lie within you, not them. Slow down. Relax. Instead of judging by appearances or making assumptions, allow yourself to feel what is going on. Go deeply into the situation and notice how your dependencies and insecurities (fears) influence your mood, behavior, and your tendency to believe one thing over another. Remember that others cannot read your mind. They cannot know what you need or where you stand unless you tell them. Solutions can be found through open communication, and you will need to both express yourself – and listen. It pays to be diplomatic this month. In fact, if you do not choose your words carefully, you may wish you had not opened your mouth at all. If you do find yourself “blurting” something out, treat it as an important lesson. We all have some ignorance in us – we are all quite capable of ignoring the reality of something or someone. This is a time to count your blessings, but guilt may tell you that it’s wrong to feel in any way gratified while others are suffering. This shows that guilt serves no constructive purpose and wants to bring everyone down. Feel all your feelings as they arise, including the ones that feel good. This cycle responds well to lightheartedness, optimism, creativity, friendliness, and the warmth shared between individuals who, at least, have the desire and intent for peace. Don’t neglect important duties, but try to lighten the load. Stop yourself from getting into a ‘rut’ – before you’re actually in it. This year, regardless of what is going on in the world, you will be patiently seeking a way to do what you want in life, where and when you want to do it, in your own style, and on your own terms; to be responsible for solving your own problems, and decline responsibilities that are not yours. In other words, you are seeking ways to rescue and heal your own Will. In order to succeed, you will have to stop pre-judging yourself – and others. This level of Free Will is the key to PEACE – and that is something else you’ll be learning a lot about this year. See yourself as equal to everyone else – a fellow traveler on the road of life. This will help you to realize just how much you allow other people’s judgments to stop you thinking and acting for yourself. There is no need for confrontation. Remember that life is a blend of mental, emotional, and physical energies. A balance among them must be reached in your heart. If you are intellectually inclined, or if you spend too much time alone thinking and worrying, go out and experience physical and social activity. If you do not like to be alone, or give little thought to the deeper meaning of life, it is time to slow down and take a month-long INNER JOURNEY, which by the way, you will not regret at all. January offers a deeper understanding of the one magnificent connected organism that life is – and of which WE are all individual parts. Accepting reality moment-by-moment, no matter how it feels, or whether it changes or stands still, is the key to successfully navigating your way through this slow sensitive year. Here is your Monthly Forecast for JANUARY IN THE 3 YEAR. This forecast is a combination of your 3 Year and the 1st month (3+1=4). Personal happiness and fulfillment are this year’s themes. And yet now, here you are, face to face with a major source of unhappiness – a situation that is far from fulfilling. Last year taught you the value of patience, and this month, you can ease a lot of frustration by BEING patient – as far as your long-term goals are concerned! This month, you may find yourself working very hard, physically, mentally, or emotionally, as you encounter a barrier to your happiness that can no longer be ignored or tolerated. Your limits have been reached – and it is very clear that things cannot stay as they are. No matter how angry, hurt, or afraid you feel, aggression cannot help matters, but that does not mean you should not make your feelings known. It is possible to be both assertive and diplomatic. No matter what the situation, approach others in a peaceful way and try to create an atmosphere in which everyone involved can express themselves with ease. This cycle urges you to start simplifying your life – making it easier – not more complicated. This means facing realities that you’ve been avoiding. It also means being practical, getting organized, and using existing resources to get what you need. Be inventive. For instance: selling unwanted items may help bring order to your finances. And combining your efforts with someone else can accomplish a task that neither of you could accomplish alone. If you need to rest, REST! Take some time off – without guilt – and don’t take it too personally if a certain responsibility is taken off your hands. Frustration (anger) is building because so much emphasis was placed on others last year that your basic needs and desires were neglected. But it is not a matter of changing other people. A change must take place within you, to which others will have to adapt. This includes changing the way you react to other people. Despite the fact that certain people and situations were constantly grinding on your nerves last year, you had to be very patient – to the extent that many of your feelings were ignored and shoved back down inside you. Acceptance of these buried feelings can help you develop an optimistic frame of mind and the courage to take charge of your own life – even if the people closest to you seem to be undermining you. The real problem is that you want to please these people, and not pleasing them is making you feel guilty. Guilt turns love into resentment, and then hatred. It prevents you from experiencing anything that feels good. Guilt tells you that feeling good is wrong. Then it contradicts itself by telling you that you were foolish for not doing what you wanted to do in the first place. There is no such thing as healthy guilt. If your intention is to be loving, and this includes being loving to yourself, then guilt must not be allowed a place in your life. Guilt’s theme song is “I’m damned if I do, and I’m damned if I don’t” – and it’s not a pretty tune. Certain plans and ideas can now be put into action. January’s emphasis on hard work represents the very foundation of this year’s journey away from the chains of guilt, and toward the joys of your own innocence. Get organized. Start building the foundation – actually start to create– something you want. Before you can know where you’re going, you must know where you are. Make sure you read the description of your year ahead in the 3 YEAR CYCLE. Here is your Monthly Forecast for JANUARY IN THE 4 YEAR. This forecast is a combination of your 4 Year and the 1st month (4+1=5). Your journey has shifted from the light, fast, and open 3 Year into the slow down-to-earth energy of the 4 Year. The circumstances of 2018 enabled you to move closer to fulfilling a goal. The circumstances of 2019 will reveal the determination and hard work it takes to bring a goal to fruition. January in the 4 Year often brings restlessness, confusion, and an ominous feeling that much is expected of you. Your freedom to move back and forth or communicate may be compromised. Hastiness or aggression will not make things move any faster. Effort and attention to detail are needed as you encounter delays, obstacles, and unusual or ‘different’ situations. No matter how prepared you believed you were, you now realize that the effort involved is either greater than you thought or different than you imagined. You are in the complex process of building the life you want – and it is now becoming apparent (and perhaps shockingly so), that you will have to reassess and redesign your current reality. Don’t be discouraged by all the work involved. If you keep the big picture in mind, you will know exactly what has to be done. With continued effort and belief in yourself, you can turn this month’s frustrations into a springboard for future success. January is a month of CHANGE and this brings opportunity, which may be disguised as something else. Look beyond what is immediately apparent and see the different potential on offer. Take it slowly and calmly. Pay attention to the details, and despite some confusing distractions, try to focus on one thing at a time. January’s unpredictable vibrations are likely to send you a new experience or set of circumstances through which to expand your horizons. You may find yourself in a situation that is new to you, or you may have to take care of issues you never had to deal with before. Do not be too intimidated by your apparent lack of experience, because gaining experience is what this cycle is all about. One change leads to another, and you will need to make some changes of your own so that you can successfully navigate this important learning curve in your journey. This is a time of facing the facts and understanding the implications involved with each of your options, and perhaps discovering an entirely new option. Do not jump at the first opportunity that appears to offer a way forward unless it feels right for you, or at least takes you in the direction you want to go. This is a time of trying new things, careful forethought, and steady maneuvering. Perhaps an old ‘comfortable’ situation has changed or become counterproductive. Do not succumb to denial of the facts, one of which is that the time has come to let go of the old and welcome the new. A comforting sense of grace will emerge from this acceptance. Another fact is that you need freedom: not freedom from your responsibilities but, rather, the freedom to take care of your responsibilities with more ease. This will occur when you start to participate in the situation instead of trying to control it. Make moderation a rule this month so that nothing can block (or blur) your vision. This new segment of your journey may not feel like the smoothest or friendliest of roads right now. But here you are anyway. Keep your eyes on that road. Assume nothing. Be courteous to everyone. Above all, keep your desires and goals safely in your heart and know that, through a down-to-Earth and practical frame of mind, you will have the opportunity to bring them to fruition this year. Before you can know where you’re going, you must know where you are. Make sure you read the description of your year ahead in the 4 YEAR CYCLE. Here is your Monthly Forecast for JANUARY IN THE 5 YEAR. This forecast is a combination of your 5 Year and the 1st month (5+1=6). The restrictive 4 Year is over, and you are in very different territory now. No matter how things seem, you are free, which is a major responsibility in itself. Of course, you are still carrying some old 4-Year baggage that you simply don’t have to struggle with any more, and it’s time to look for ways to lighten your load. Guilt is causing most of the excess weight here. Simply recognizing that fact will be helpful to you and whoever else is involved. Don’t rush. Relax. Think. Weigh up your situation. Here you are, newly arrived in a cycle of freedom, and you’re not sure what that means or what your next move should be. There are just so many different scenarios and options to consider. As this month proceeds, don’t be afraid to make mistakes because that is how you’ll find out what will work and what will not. January emphasizes the mistakes you have always made regarding responsibility, and the extremes you sometimes go to when it comes to fulfilling – or avoiding – certain commitments. Others have responsibilities too, and these are the ones that need to leave your shoulders now. Of course, even in a state of freedom, life will always be full of challenges, mysteries, and problems. This year, you will be learning how to deal with them more constructively. This month, you will need to focus on the space in which you live and the people with whom your space is shared. Your life is going to change this year, and what affects you will affect them too. Recognize the restrictions that exist in your personal/domestic life. This month emphasizes love, family, pets, financial and physical security, material belongings, home, and location. The more restricted you feel, the more obviously a change is needed. You may feel restless about where you want to be, and with whom. However, blaming someone else for your circumstances is pointless because we are each responsible for our own happiness. Know the difference between helping and interfering. As this year proceeds, you will find ways to free yourself. The important thing is that you have started to take your own needs more seriously and love yourself again. Controlling the situation is not important now. Finding ways to change it to your liking is what matters. January provides a new direction through which your creative talents can flow and expand. Use this new perspective to further your ambitions. Be honest with yourself when you consider the mistakes you have made in the areas of family and duty. You may have to change some outdated beliefs. Give those you love a sense of inclusion in your life. Do something unusual and exciting with them. Bring fun and laughter into your relationships and loosen that rigid attitude which belongs in the past. Love is in the air. Get into it — or — consider how you can best get out of a situation where love does not exist. Before you can know where you’re going, you must know where you are. Make sure you read the description of your year ahead in the 5 YEAR CYCLE. Here is your Monthly Forecast for JANUARY IN THE 6 YEAR. This forecast is a combination of your 6 Year and the 1st month (6+1=7). January is a time of analysis, introspection, and planning. This combination may create an initial fear of not knowing how to deal with a certain situation, but there is no need to think the worst. There is something you need to clarify within before you can make further judgments or moves. Be present, pay attention, and be prepared to learn new things. Before your new direction can be seen, you may have to recognize a misunderstanding that you are holding on to, particularly concerning people to whom you feel you have some kind of obligation. Seriously analyze your situation, as it is now. The door of opportunity is knocking, but how can you hear it if you reject the possibility that an alternative exists? Know what your responsibilities actually are. There is a lot of sorting to do. Be patient. Trust yourself. Spend time alone with no distractions. Minimize your activities. You need time for yourself. Listen to the questions you ask yourself, and hear the responses you give. Listen to how you argue with yourself when alternatives appear. Notice your resistance to change. Feel yourself fighting off your own changing reality, and consequently, your potential for greater satisfaction. Be aware of this inner battle and you will also realize that everything starts within. Forgive yourself for whatever you are regretting. This will enable the healing process to begin. Once you have accurately assessed your position, consider your own needs and desires. How do you want things to turn out? What do you actually desire in your life? Then consider the reality of the outside world; this changing, evolving, dangerous world in which dependence is an unwise option. Then ask yourself if you are free, or are you trapped in stagnation because you have outgrown the norm? Perhaps what you want – in the way you want it – is no longer possible. Examining all the details can lead you in a new and more satisfying direction. Notice where your old familiar ways of doing things are no longer appropriate or desirable. Take charge of your life as you travel through these confusing evolutionary times. Broaden your outlook. Accept what cannot be done and focus on what can. Work on restoring the LOVE which your anxiety now threatens to harm in some way. Guilt holds you responsible for everything that does not feel good. Never forget that guilt is the great deceiver. It may be twisting the word “responsibility” in a way that makes you feel responsible for someone else’s problem, or using its deflecting nature to blind you to certain matters that you really do need to know about. Life is now urging you to accept a responsibility lovingly, and at the same time, find a way to balance it with your own needs. Before you can know where you’re going, you must know where you are. Make sure you read the description of your year ahead in the 6 YEAR CYCLE.